Up until the end of 2017 the amount of divorce cases brought before the court had fallen significantly; however, 2018 saw 118,141 court cases brought forward – the highest amount in over 15 years. This leads to the question as to what is causing so many marriages to fall apart? There were many external factors in 2018 that could have added stress to relationships one of which being Brexit. The UK voted to leave the EU back in 2016, however it’s only been 2018/2019 where it has really been made public in the news. Ultimately Brexit is a divorce, the United Kingdom is divorcing from the European Union, and if science is anything to go by this country divorce could have had, and still be having an impact on the countries citizens. Explained by scientists as ‘divorce clustering’; it is apparently fact that if you are in a group of friends and one friend goes through a divorce – you could be next. That being said, could all of the talk of the UK’s exit from the EU, with constant reminders on social media and in the news have a negative effect on our love lives? One UK based property company believes so. Ready Steady Sell are one of the UK’s biggest cash buying companies and help homeowners who are going through a divorce to sell their homes quickly for cash, recently did a study to find out firstly how many of their customers said their reason for sale was divorce in 2018. They quickly followed that up by asking the customer if they were concerned about Brexit and the impact it will have on their property value. Out of 234 customers asked 196 of them confirmed that Brexit had played a part in them wanting to sell their homes for cash. We all know the mass media has an influence on society; from a young age we are influenced to try and copy celebrities, from looks to fashion. However negative information can also have an impact on our psyche. The media is constantly showing us murders, car crashes and other negative images – and if we are constantly absorbing this negativity it will ultimately affect our moods. There have been plenty experiments to back this up, and plenty of people in the world that can vouch for the fact that media creates negativity. Counsellors and Psycologists have actually penned the term ‘Brexit Anxiety’ for the general feeling amongst most stay voters; an anxiety brought on by the uncertainty of leaving the EU and the effect it will have on our everyday lives. People are generally worried about job loss, recession, and all of this is clearly having a negative effect on their marriages. According to Bloomberg this uncertainty created by the pending Brexit decision is also causing UK employees to suffer more sick days from work than ever before. It’s clear to see the stress and strain caused by Brexit is adding to the mounting pressure couples on the brink of divorce are already going through. This is especially apparent where members of the household have voted different ways. Let’s just hope for a resolution to the Brexit situation soon that suits all parties involved. What Should Couples Do That Are Worried About Brexit? 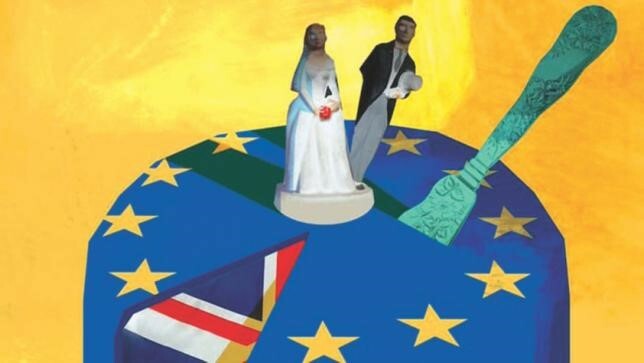 If you are married and are currently worried about Brexit or arguing about having different views on the matter, it’s always advisable to seek counselling from a divorce specialist to see if you can save your marriage before it goes any further. It is also important to remember not to believe everything that is written in the media. Certain newspapers are aligned to particular political movements, and therefore will favour them when it comes to writing the news. Don’t believe everything you see or read, and try to keep the whole Brexit situation as purely a debate or not to be mentioned at all in some extreme circumstances.